I reported the Google typo yesterday and it has been fixed now, Mbps it is. No change to their “free” tier of service though, so 5Mbps it is. I got a lot of feedback on my “negativity” over this, both on the neighborhood forum, the comment below, and via personal email. And yes, being able to pay the $300 fee in installments is a good break. So it looks correct, 5Mbps while useful, really isn’t good enough for a family except for email, facebook and infrequent youtube/netflx. TWC offer a comparable 6/1Mbps plan for $29+modem/wifi, taxes fees. < Which is non-competitive on price/performance to most of the rest of the world where cable exists, where are 4/1 service costs less than $20 per month, and often as low as $12 per month. Fiber providers are 40/10Mbps packages for $25-$35 per month or better, and thats what I was really hoping we'd see. Well Google fiber is on its way, they’ve sprayed marked across our front yards this week ready to install the vaults, most people don’t understand these will be buried in your front yard, after all fiber optic cable isn’t your parents cable. 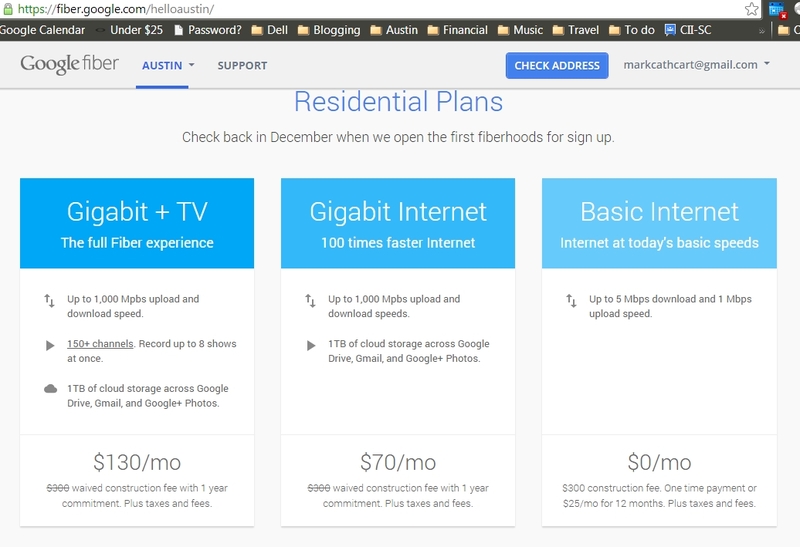 In other news, Google have announced the Austin pricing and service speeds, and I have to say, it’s pretty disappointing really. Normally network speeds are indeed listed as Mbps. Megabits per second. Unlike disk/file storage which is most often described as MB, and sometimes MBps megabytes per second. In storage you are storing files and characters, so a byte has a meaning and it’s important to understand. In networking, especially streaming music, tv, video it really doesn’t, so bytes really don’t have any meaning, and Megabits is the norm. Also, Megabits are also in units of 1000, in the old days it was often expressed as 1024 but no longer. So we really have no idea what Google are offering. Lets assume thats just sloppy web content creation, and that 1,000 Mpbs is really 1,000 Mbps, which is 1-Gigabit, which is what Google have been touting, by coincidence. I’m really left wondering though what their free offering is though? 5 Mbps is really for the most part unusable for anything other than sending email asynchronously. So I assume that should really be 5 MBps, as in megabytes. But as discussed earlier that isn’t really a usable measure, although it’s pretty standard marketing BS from the existing cable cartel companies used to confuse people. If it is 5-MBps, then it could be 40-Mbps, which would be more usable, either way the web page is a shambles. Given these assumptions, overall the Google pricing is disappointing. Google are for the most part just joining the existing cable cartel. 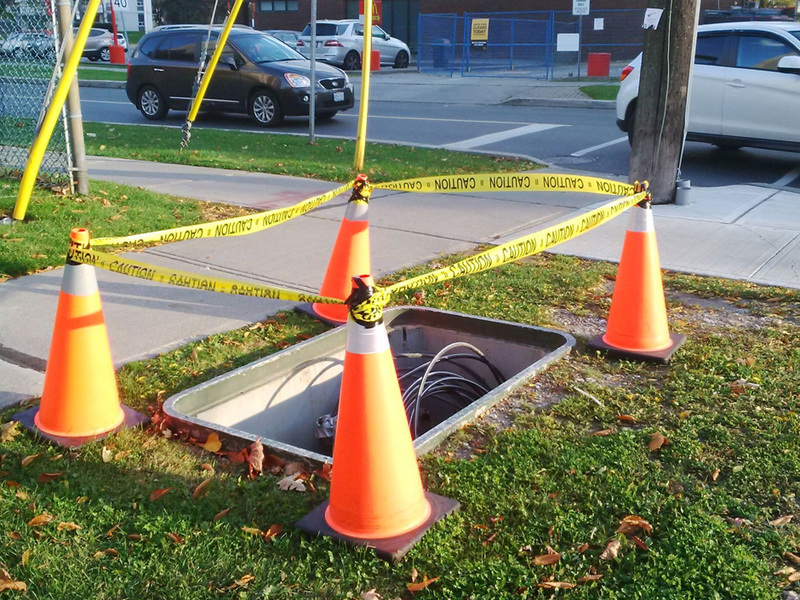 Yes they are bringing fiber speed but they are really doing nothing to help with pricing. The $300 installation fee for the entry services is a barrier to entry for low income households. $70 is great for those that can afford it, getting potentially a 100x increase in download speed, if the network inside your house can exploit it. Remember you’ll need gigabit ethernet ports on all your devices, gigabit wifi(which doesn’t exist as a domestic standard) and of course a Google compatible gigabit cable modem and switch. What is more disappointing is the pricing though. It’s slightly more expensive minus taxes and fees than the TWC Service I’m paying for at the moment.. What about something in between for low income households? $35 a month for 100Mbps? This application of the City of Austin website indicates that google fiber is coming to my neighborhood, and specifically includes my block. I’m delighted although Google have yet to announce this, and I’ve not seen the pricing or terms and conditions, it can only be a good thing.